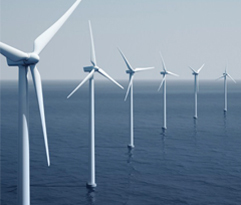 Welcome to the website of the North Sea Research Programme of the Belgian Science Policy. This programme aims to develop and consolidate the Belgian scientific expertise related to the North Sea ecosystem and to offer decision-makers the necessary scientific support for drawing up and carrying out North Sea related policies. Since 1970 the North Sea research progamme has been implemented in different multi-annual phases. The actual eight phase of North Sea research (2012-2017) is embedded in the programme BRAIN-be. For the follow up of the design and construction of our new research vessel, RBINS is hiring an expert in marine engineering and a scientific instrumentation engineer. The workplace for both profiles will be Freire Shipyard, Vigo, Spain. The deadline for applications is 15 august 2018. JPI Oceans is recruiting an Executive Director. Deadline is 17th August 2018. The Council of Ministers agreed to award the contract for the building a new multidisciplinary research vessel to replace our RV Belgica to Freire Shipyard. 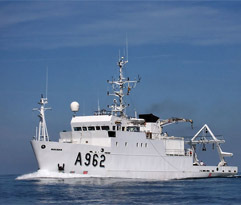 The tender for the replacement of the RV Belgica has been published. The Council of Ministers has approved today the launch of the public procurement for the purchase of a new research vessel to replace our current RV Belgica. The partners of the BRAIN-BE Face-It project organise the summer school: "Integrated approaches to investigate the role of benthic organisms in soft and hard substrate in ecosystem functioning: from field observations and experiments to modeling and indicator development." at the STARESO Research Station, Calvi, Corsica from 17th to 21st July 2017. From 7 to 10 November 2016 the Royal Belgian Institute of Natural Sciences (RBINS) the North Sea Open Science Conference 2016 in Ostend. Secretary of State for Science Policy, Elke Sleurs, has increased the maintenance budget for our oceanographic research vessel, the RV Belgica. She has provided € 1,019,000 on top of the existing, recurrent annual increase (€550,000) in the RV Belgica's operating budget. This is a clear signal of just how important our research vessel is!